We’ve all heard of afternoon tea – but were you aware that the Swedish have a similar concept? ‘Fika’ is traditionally a coffee break accompanied by a sweet baked treat – and it’s a big thing in Swedish culture. It’s something that can be enjoyed with friends and family, with work colleagues, or alone. You can fika indoors or out, at home, at work, in the park. Fika is all about taking a break. At its heart, it’s similar to hygge, which we talked about in our recent blog here. Both Scandinavian concepts, they’re about slowing down, relaxing, and appreciating life’s little pleasures. Like hygge, fika provides a moment of contemplation, a chance to take time out. Over time, fika has developed a more generalised meaning which doesn’t necessarily involve coffee – it’s just about eating and drinking something yummy. So it ties in perfectly with our ethos and menu at Baltzersen’s. We offer a relaxed, welcoming environment in which to enjoy afternoon tea in Harrogate – the Scandinavian way. The inspiration for Baltzersen’s came from a 100-year-old cookbook from owner Paul’s Norwegian grandmother. The book is packed with authentic recipes (such as this one for a Honey cake) which are perfect for a coffee break, from cakes and pastries, to waffles and open sandwiches – and we make everything from scratch using fresh ingredients daily. Traditionally, the drink of choice for fika was coffee; so much so that the word fika is believed to be a reversal of the syllables of kaffi, a variant of the Swedish word for coffee. In Scandinavia, coffee remains the most popular fika option – indeed, in the global rankings for the amount of coffee drunk per person, Norway comes second, Denmark fourth and Sweden sixth. 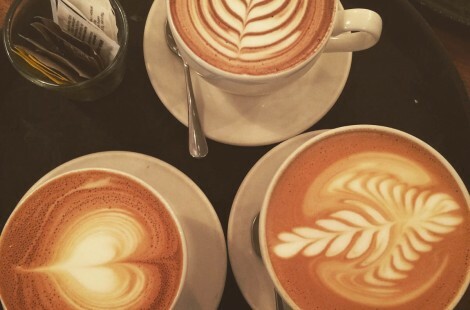 So you won’t be surprised to learn that we take coffee very seriously at Baltzersen’s. Our coffee is roasted to order by our two Leeds-based suppliers; North Star Coffee Roasters and Maude Coffee Roasters. North Star helped us create our ‘Baltzersen’s Blend’ and they deliver it directly to us twice a week to ensure we can serve it at the peak of its freshness. The green coffee beans used in our house blend are imported by Falcon Speciality Coffee, who are based in Pannal just outside Harrogate. 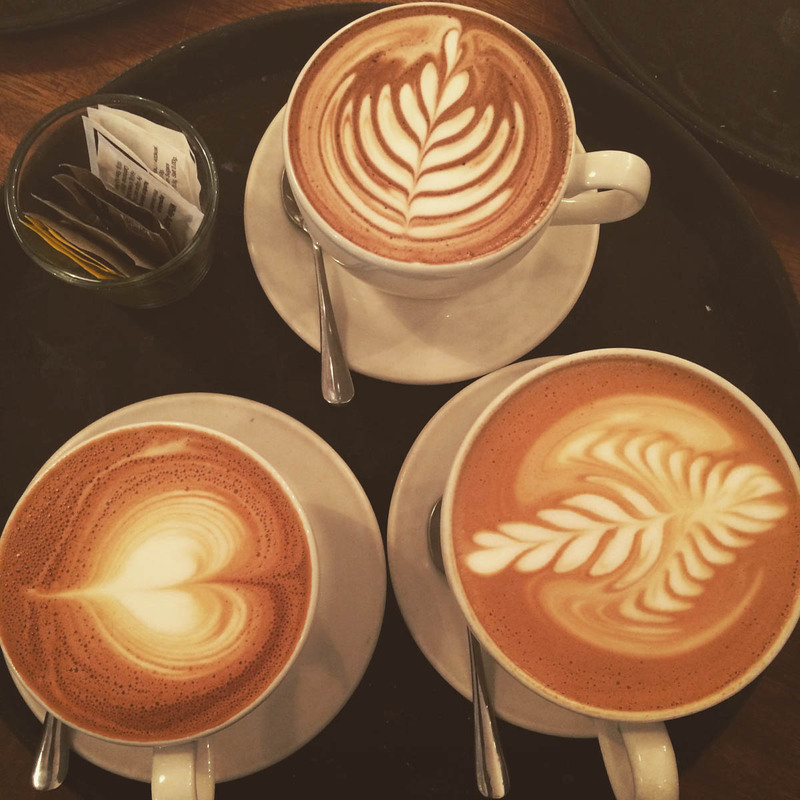 We offer a range of espresso-based drinks and use whole and skimmed milk as well as soya milk. Since January we’ve been offering a bulk brewed coffee. This is always a single origin coffee (something grown in just one country) and we’ve used coffee from Brazil and El Salvador so far. Filter coffee is the reason why people in Scandinavia drink so much coffee; they permanently have a pot on the go. We think this brew method is great, especially if you are a black coffee drinker because it creates a more subtle cup of coffee than the alternative americano. If you’re not a fan of coffee, we also have a range of teas by Doncaster-based importer The Tea Experience. Our team has tried more than 25 teas to help Baltzersen’s offer something for most tastes. And we’re always thinking about which new blends and fruit infusions, as well as green tea and decaf, would appeal to our customers. Hot chocolate is also available, made from Belgian Chocolate shavings and milk, but if you’re not in the mood for a hot drink we also offer a large range of cold drinks. There are no set rules about what food should be eaten for fika, but there are some items that are on most Swedes’ list of treats. 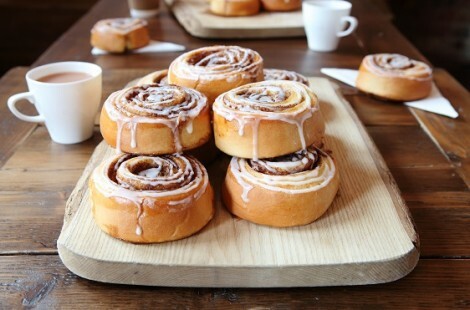 One of these is the cinnamon bun – and it’s the most popular item on the Baltzersen’s menu. Our buns are freshly baked from scratch each morning and are sometimes so in demand that we have to make another batch in the afternoon too! 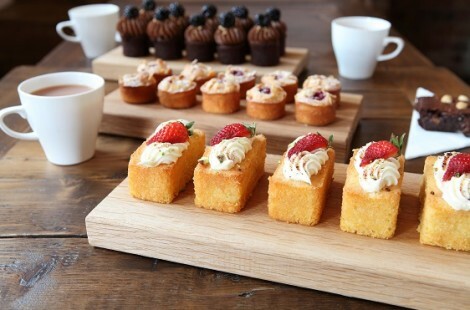 Other typical sweet treats for fika include a variety of cakes using chocolate, almonds, berries and cardamom. We offer a daily selection of freshly made cakes, as well as ‘sultanaboller’ (similar to scones which are toasted and served with organic butter) and ‘skolebrød’ (flavoured with cardamom and with a custard centre, icing and a desiccated coconut topping). Our ever-popular waffles are also perfect for sharing at fika, especially if you’re enjoying some time out with the kids. 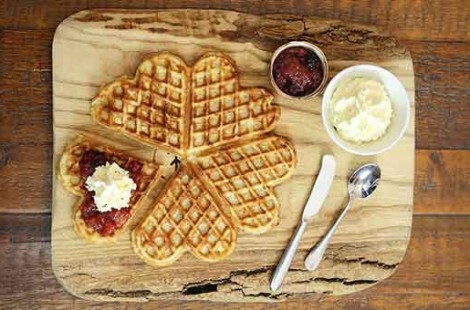 We make ours with two commercial waffle irons that we’ve specially imported from Trondheim in Norway. They’re served with jam, a seasonal fruit compote, Nutella, salted caramel or maple syrup and topped with organic whipped vanilla cream. 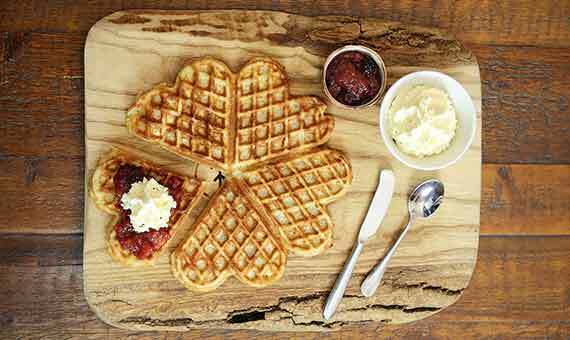 Find out more about our waffles, what to eat them with and even how to make them for yourself in our blog which was written last month to celebrate International Waffle Day. And don’t forget we’ve extended our half price weekday waffles offer. It was such a hit when we introduced it last year that we’ve brought it back from Monday to Friday, 3pm-4.30pm. Even more reason to come and enjoy fika with us! As fika has developed in Sweden, it has also come to mean a light meal, often a sandwich. At Baltzersen’s we offer a range of open sandwiches, served on freshly baked bread with Swedish-style potato salad and a house salad. Toppings include egg mayo with pickled cucumbers and shallots to give it a Scandi twist, and meatballs with fried onion, melted cheese and lingonberry jam. So the next time you fancy a coffee break or afternoon tea in Harrogate, why not pop in to Baltzersen’s and do it the Swedish way?